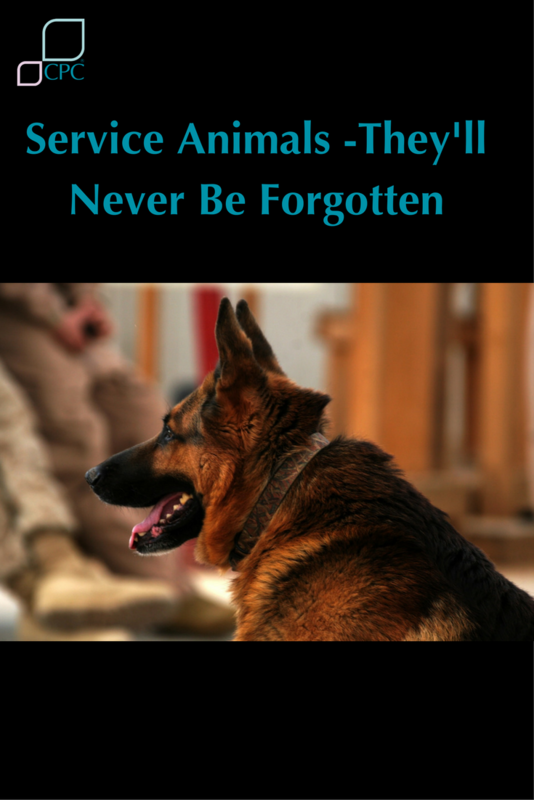 Service Animals Past, Present and Future. We Thank You! Sunday 12th November 2017 is Remembrance Day, and we’d really like to pay tribute to those service animals that have served, and continue to serve, with the forces both in combat and at home with returning veterans. You may have seen our previous posts on service dogs and the human animal bond here we talked about the impact they have on society by servicing those with particular needs. But the truth is animals have been helping humans since almost the beginning of time. I’m sure the use of service animals can be traced back further but let’s start with World War l. Over 16 million animals served for the uses of transport, communication and companionship. From horses and camels to cats, dogs, pigeons and canaries; they carried supplies, ammunitions, medical material and the injured. Obviously over time the role of horses in combat disappeared but dogs and pigeons continued to serve well into World War ll. Pigeons aided in communications when technology failed and dogs carried on alongside various units as companions, scouts, sentries, bomb sniffers and mascots. It was in World War ll that we saw the establishment of the Dickin Medal. The Dickin Medal was established during World War ll, and was given 54 times between 1943 – 1949 to animals for their gallantry and devotion. The one and only cat to receive the award is named Simon who served abroad in HMS Amethyst. The medal was revived in 2000 and awarded to a dog named Gander, a Newfoundland dog. 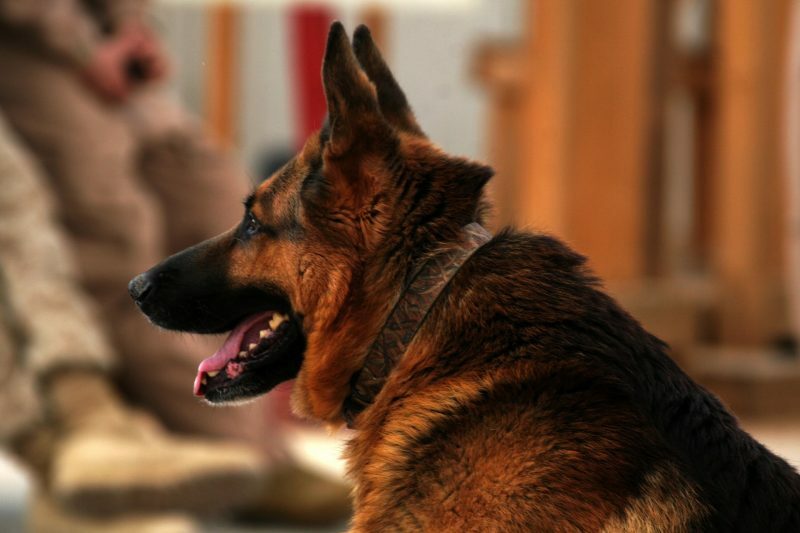 After that, in 2002 it was awarded to three dogs for their role in responding to the September 11 attacks. Since its creation the Dickin Medal has been awarded 67 times; in recent times the award has gone to dogs and a horse. You may have heard of Frida. So far Frida hasn’t been awarded a Dickin medal, however we feel her contribution should be remembered. Frida is a rescue dog from Mexico who has saved more than 52 lives. 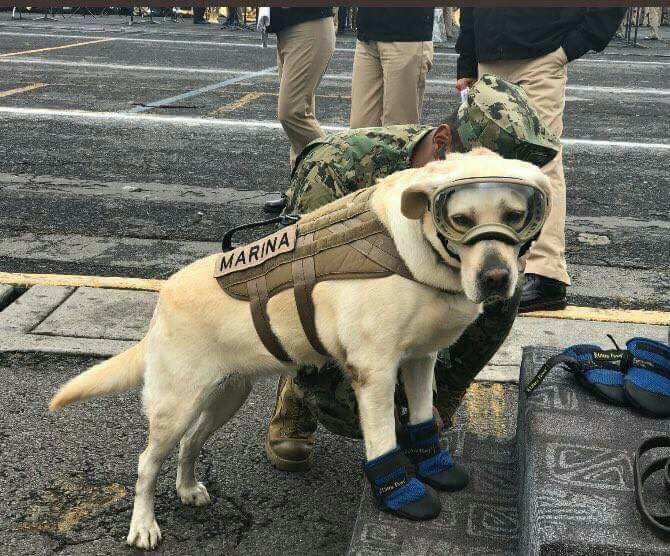 Frida made headlines for her rescue efforts in Mexico’s recent earthquakes. She is employed by the Mexican navy to conduct search and rescue missions in the event of a natural disasters and has become a local heroine. She detected a several people including a police officer under the rubble. What happens after their service? 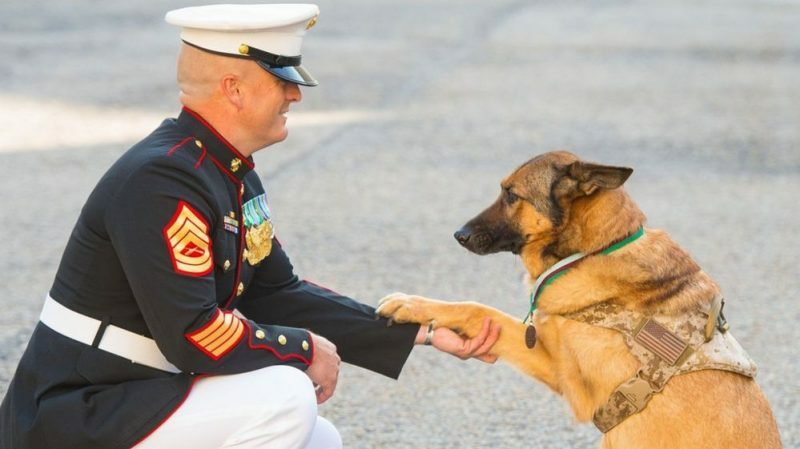 So what exactly happens when a military working dog at the end of its service? Good question. They go to a highly experienced dog trainer who ‘de train’ the dogs to prepare them for the possibility of re-homing into the normal population. The trainers use relaxation techniques to help the dogs understand that they no longer have to work. Not all military dogs are suitable for re-homing and some are re-homed to ex-military handlers. So never forget the animals..
That have given so much and the ones that are continuing to contribute to humanity. Your pet may not have saved others but they save you, so why not give them their own medal in the form of a memorial leaf for our memorial tree at our Cambridge, Cheltenham or Caledonian gardens.